Pressure die casted, gravity die casted, shell moulded pistons are made out of aluminium alloys, graded closed grained cast irons. 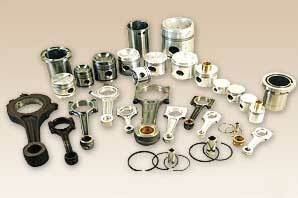 Piston rings are individually centrifugally casted out of high grade cast iron materials. Piston pins are made out of special grade alloy steel having highly polished and hardened outer surface to withstand the wear & tear.